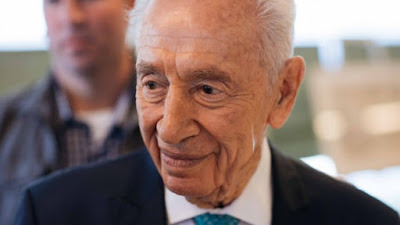 Peres died in his sleep at around 3:00 am local time on Wednesday, Rafi Walden, Peres’s personal physician who is also his son-in-law, said. He died surrounded by family members, a source close to Peres added. The former president and prime minister had been “fighting for his life,” doctors said Tuesday as he suffered a rapid deterioration to his condition, two weeks after a major stroke. Peres died overnight Tuesday-Wednesday at the Sheba Medical Center at Tel Hashomer Hospital, after his family members and those close to him who had been called late Tuesday to say their final goodbyes. News of Peres’s stroke earlier this month sent shockwaves through the country, which feared the imminent loss of the last surviving link to its founding fathers. Over a seven-decade career, the elder statesman of Israeli politics and one of the country’s most admired symbols has held virtually every senior political office, including two stints as prime minister and extended terms as foreign, defense and finance minister. Long a divisive personality in politics, Peres finally became one of Israel’s most popular public figures in his later years. It seems to be a regular feature of the U.S presidential election cycle: Candidates from both parties solemnly pledge to recognize Jerusalem as Israel's capital, only to sidestep the issue upon taking office. Shouldn't the selection of a capital city rest solely with the people of the country who reside there? Donald Trump believes it should. 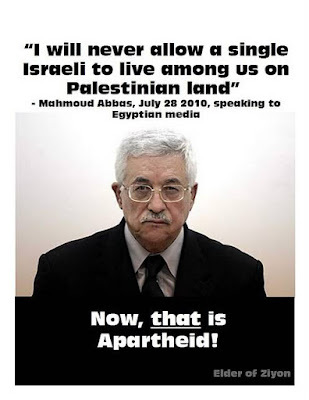 As president, he would recognize the right of the Israeli people to choose their capital city (a choice, incidentally, that has remained unchanged throughout 3,500 years of uninterrupted Jewish presence in Israel). That choice is Jerusalem. Ever since King David established Jerusalem as the capital of the Land of Israel three millennia ago, the city has held unique significance to the Jewish people -- both geographically and spiritually. 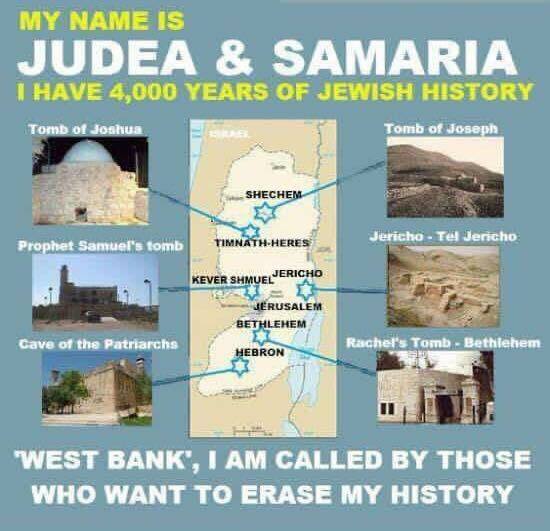 Prior to modern times, Jerusalem largely comprised what is commonly referred to today as the Old City, the eastern section of Jerusalem (sometimes called East Jerusalem) where Judaism's holiest sites are located, including the Temple Mount and the Western Wall. The Temple Mount is considered to be the holiest place in the world for Jews, while the Western Wall is the remnant of an outer wall of the Second Temple, and is especially dear to Jews as it is the location closest to what was the holiest part of the Second Temple. The Old City also contains churches, such as the Church of the Holy Sepulchre, and other areas that are of great importance, historically and prophetically to Christians. Muslims, for their part, revere the Al-Aqsa Mosque and Dome of the Rock, a site constructed in the 7th century on the site where the Jewish temples once stood. History records that only twice have invaders managed to expel the Jews from the Old City (though never from Israel entirely): the exile following the Romans' destruction of the Second Temple almost 2,000 years ago, lasting nearly a century, and the 19-year Jordanian occupation beginning in 1948. After Israel achieved independence that year, an Arab coalition invaded, with Jordan capturing the Old City, destroying historic synagogues, desecrating Jewish cemeteries and barring Jewish worshipers from its holy sites. But when Jordan attacked Israel again in the Six Day War of 1967, Israel successfully routed its advancing forces, enabling Israel to recapture the Old City. After 2,000 years, the city of Jerusalem was reunited under Jewish control, and has been open to worshipers from all faiths ever since. That openness -- in a city teeming with ethnic and religious diversity -- is a powerful testament to freedom and pluralism in a region desperately in need of both. Yet some suggest redividing the city, in the belief that peace will follow. One need only look southward, to Gaza, to realize the folly of that plan. 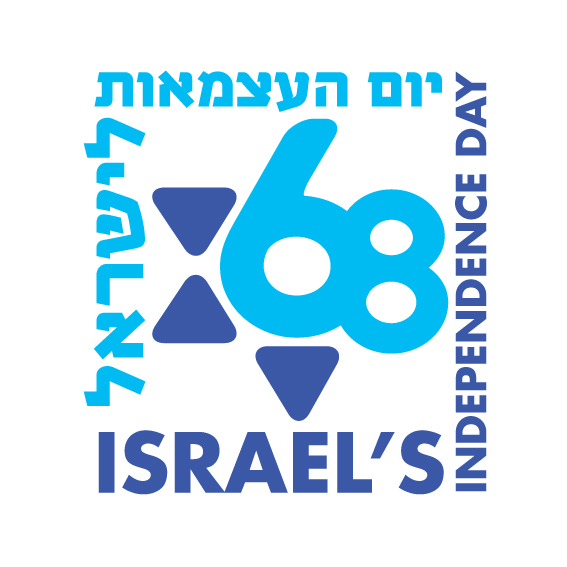 An undivided Jerusalem must remain Israel's eternal capital. After all, no other arrangement ensures open access to the city's holy sites for all who wish to pray there. Since ancient times, nations have recognized each other's authority to designate their own capitals. Yet somehow, modern Israel is held to a different standard. Some people fear that acknowledging Jerusalem as Israel's capital might offend its neighbors, the city's non-Jewish residents -- or even make them feel unwelcome in the place they call home. But the irony is that only during the time of the Jordanian occupation, when the Old City was outside of Israel's control, were Christians and Jews either barred or severely restricted from visiting their faiths' holy sites. By contrast, Israel has made the entire city accessible and welcoming to people of all faiths. ..... We need a president who means what he says, one whose word can be counted on at home and abroad. 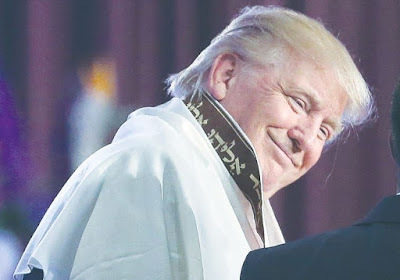 Donald Trump believes in the right of the Israeli people to choose their capital, and his actions as president will show that he is a man of his word. As he said at the American Israel Public Affairs Committee policy conference last March, once he is elected, the United States will recognize Jerusalem as Israel's capital. In addition, Trump will eliminate the Israel-bashing that has been a regular item on the agenda of the current administration, an ugly trend that would likely continue under an administration led by Hillary Clinton. Just two years ago, Clinton boasted to CNN that she was often the Obama administration's "designated yeller" at Israel's leaders. She even chastised the Israelis for building in east Jerusalem itself. Enough is enough. A Trump administration will be a true friend to Israel. Jerusalem is Israel's capital, and the undivided city is essential to the security of its all its citizens regardless of their religious faith. Israel -- and its allies here in America -- need Donald Trump as the next president of the United States. Israel is slowly trying to convince Europe that the Jewish state is a key player in efforts to stem a rising tide of Islamic terrorism, Prime Minister Benjamin Netanyahu said Tuesday morning as he made his way to the Continent for a two-day visit. “Europe as a whole is undergoing changes. It faces very great challenges over the spread of radical Islamic terrorism,” he said as he boarded his plane to the Netherlands. Netanyahu plans to discuss with his interlocutors Israel’s “central role” as the “most stable and most stabilizing element in the Middle East,” one that contributes greatly to preventing the spread of terrorism, he added. 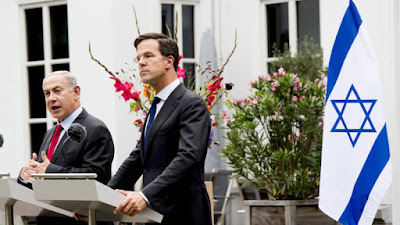 In The Hague, the prime minister will meet his Dutch counterpart, Mark Rutte, to discuss bilateral issues and regional developments. Netanyahu is also slated to meet King Willem-Alexander at the Noordeinde Palace. It will be Netanyahu’s first meeting with the monarch since he succeeded to the throne in April 2013. 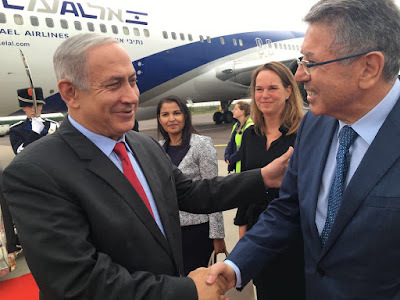 Netanyahu will visit the Dutch parliament and conduct meetings with Senate President Ankie Broekers-Knol and House of Representatives Speaker Khadija Arib. In a planned meeting with members of the House of Representatives Foreign Affairs Committee, he is set to “present Israel’s policy in the regional context and vis-à-vis Europe,” according to the Prime Minister’s Office. 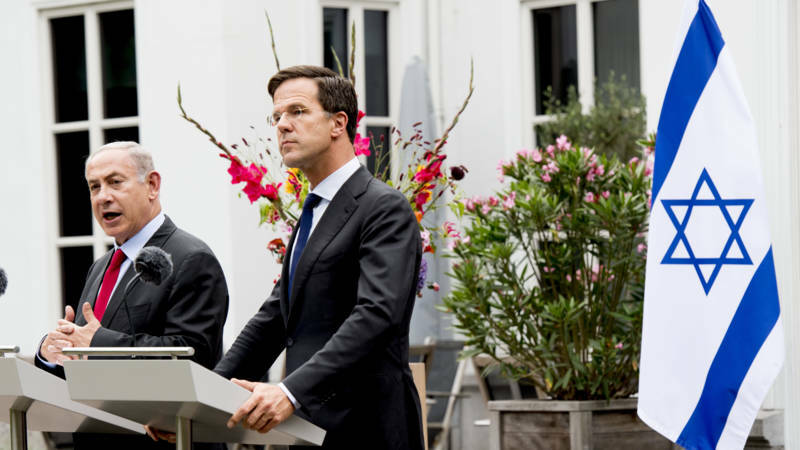 Despite occasional disagreements, mainly about the settlements, the Netherlands is considered to be among Israel’s closest allies in Europe. 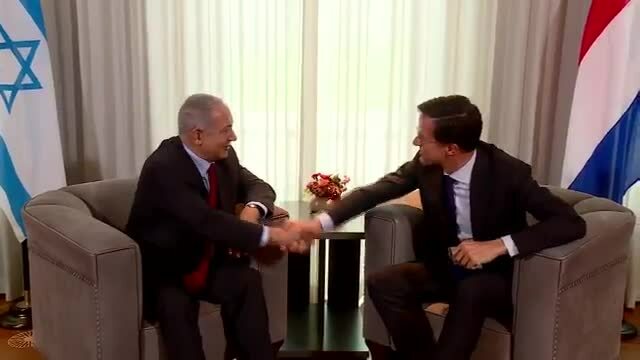 Netanyahu sees Rutte as a personal friend. Hoera, de haters hebben verloren! Ondanks de pro-Palestijnse lobby om premier Netanyahu van Israël de toegang tot Nederland te ontzeggen of zelfs direct uit te leveren aan het Internationaal Strafhof, zijn gestrand. Een staatsbezoek van de premier van Israël: ooit was dat in Nederland gewoon een vriendschappelijke en nietszeggende formaliteit (zoals staatsbezoeken van welk land dan ook dat doorgaans plegen te zijn), maar ditmaal was het anders. Oud-premier Dries van Agt riep op nationale televisie openlijk op om premier Benjamin Netanyahu – volgens dolle Dries een “oorlogsmisdadiger” – voor het internationale gerecht te brengen, op Radio 1 werden enkele vertegenwoordigers van de joodse gemeenschap de huid volgescholden en in de Schilderswijk laaide het antisemitisme op tot ongekende hoogten. 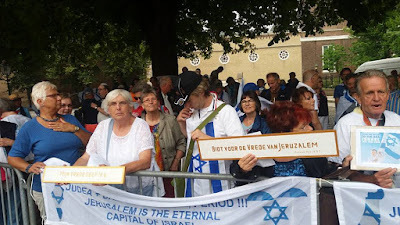 Vandaag stonden zelfs enkele boze bejaarde Arafat-sjaaltjes een petitie te overhandigen aan de Tweede Kamer, waarin werd opgeroepen tot het boycotten van Netanyahu’s bezoek aan ons parlement. Als ik zou zeggen ‘bizar’, dan zou dit nog een understatement zijn om deze golf van haat richting Israël en Netanyahu te omschrijven. 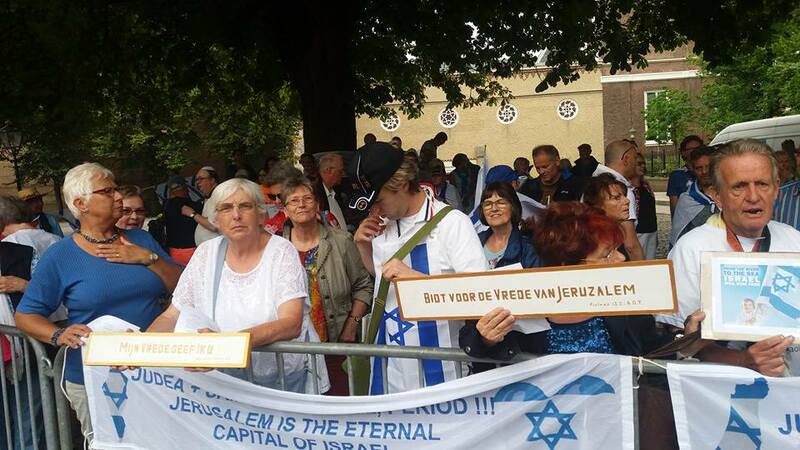 Triest hoe antisemitisme, antizionisme en een algeheel gebrek aan kennis over het Midden-Oosten tot deze situatie hebben kunnen leiden. 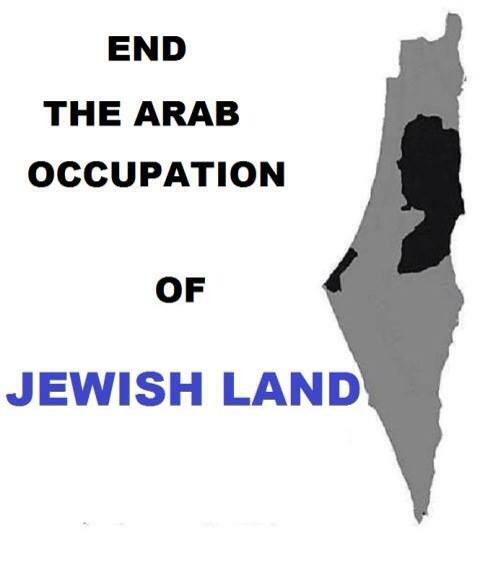 Israël is een fatsoenlijk land, en moet dan ook fatsoenlijk behandeld worden. Jammer dat enkele ongelikte beren er dan toch voor kunnen zorgen dat er een naar sfeertje rond dit staatsbezoek is komen te hangen. 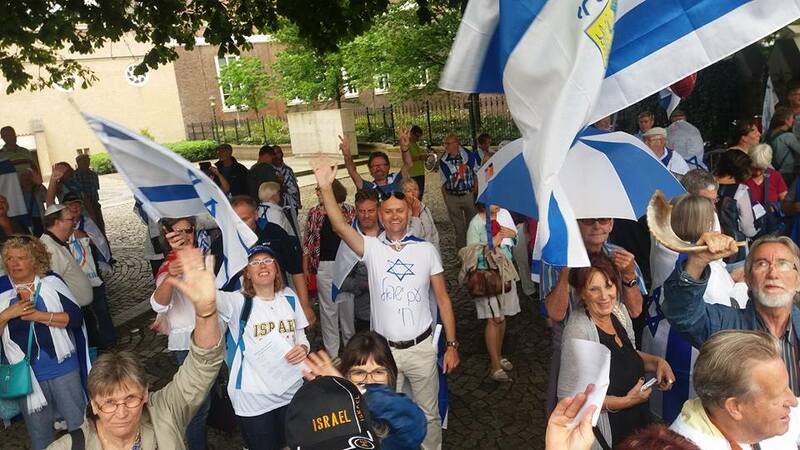 Maar: er is ook goed nieuws, want gelukkig zijn ook de pro-Israëlische krachten nog op volle sterkte aanwezig.